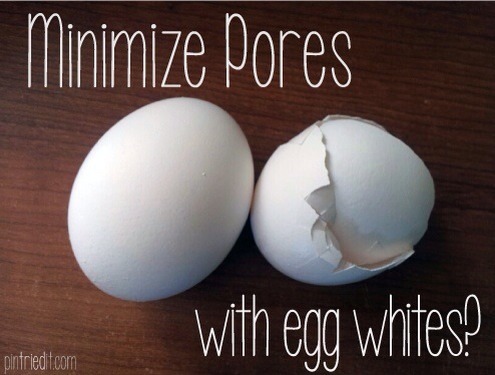 Minimize Pores With Egg Whites! Egg white is very good to cure large pores. To use an egg white mask, remove the yolk from an egg and apply the remaining white on your face. Leave it on for 15-20 mins. Rinse face with cold water to keep pores smaller. Do it twice a week.